The Colosseum Games: What were Colosseum Gladiator Fights? Tuscany is a scenic and historic region that boasts a rich artistic, literary and agricultural history. A Tuscan farm stay is the perfect way for visitors to experience the splendor of Tuscany’s lush scenery. Its gift to the world comes encased in glass bottles and sealed with a cork. The region’s wines have graced tables around the world since the early 7th century BC. 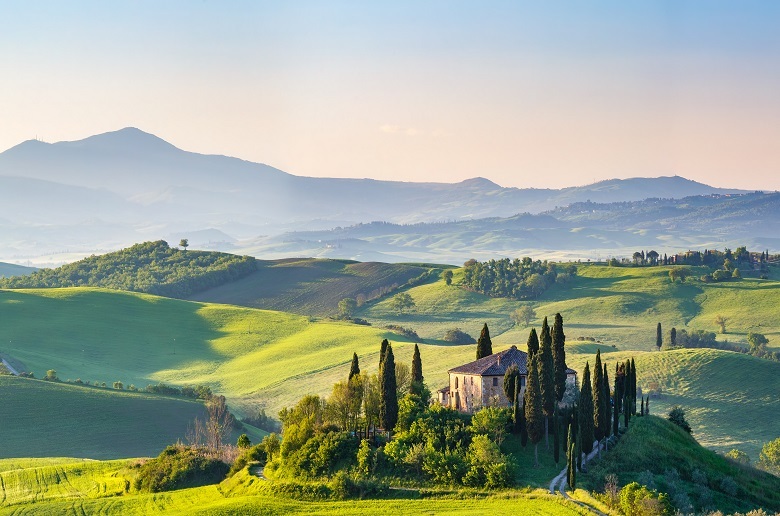 With lush green scenery delicately draped over sun-drenched rolling hills, the Tuscan countryside presents its visitors with an intoxicating visual display.